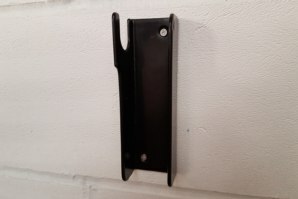 This wall bracket will keep your Superbike Stand safely on the wall when not in use. 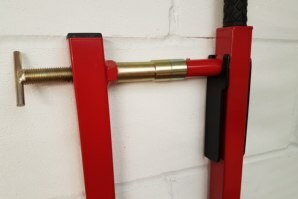 This simple yet clever design allows you to quickly latch the stand into the bracket to keep it stored against a wall when not needed. 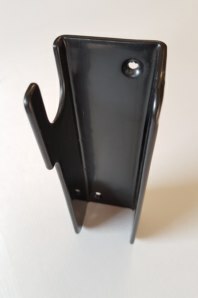 The bracket has a thick plastic coating to eliminate scratching to your Superbike Stand. Supplied with screws and wall plugs. Can be fitted to virtually any wall. 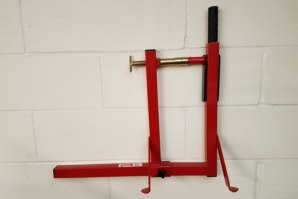 Will safely work on any Superbike Stand, new or old. 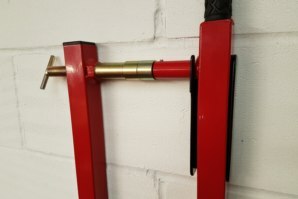 A quick video to show how this simply, yet very effective bracket holds the abba Superbike Stand securely on the wall. Got a Question about the abba Superbike Wall Bracket? If you would like to ask us a question about the abba Superbike Wall Bracket, simply fill in the form below and we will contact you within two working days. Want to tell a friend about the abba Superbike Wall Bracket? 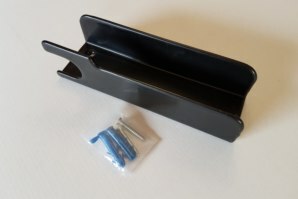 Alternatively fill in the form below and we will send an email on your behalf to your friend, with a link to this page all about the abba Superbike Wall Bracket.